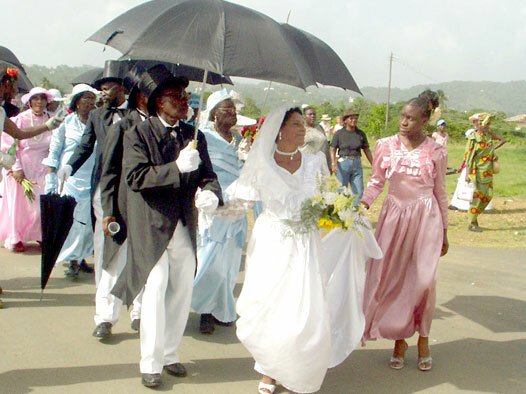 This is the Heritage Festival month, in which Tobagonians celebrate their cultural achievements in dance and theatre. Foods such as Pig Foot Souse are considered Heritage foods and is sold outside supermarkets every Friday. Any meat being used is chopped into bite-size pieces, or kept whole in the case of chicken’s foot, washed in lime juice and left to stand for at least 5 minutes in the lime juice water.They are then boiled in salty water until tender. Meanwhile, wash and peel and slice the cucumbers, clean and chop the chives and deseed and chop the flavour pepper. Mix these and add lime juice, hot pepper (whole if you want flavour, chopped if you want tears!) and salt. The latter should be added sparingly at first as the cucumbers tend to absorb it. Keep adding until the desired taste has been reached. Add the lime juice/cucumber/chive mix.